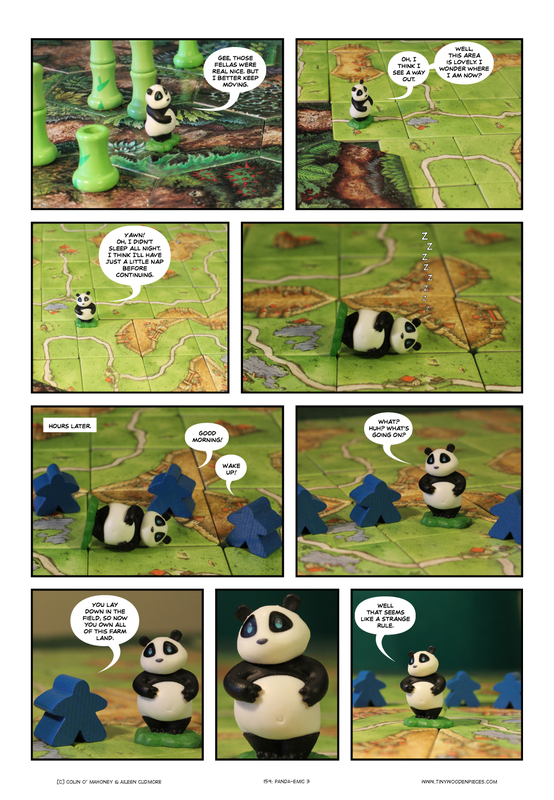 This week is part three of the adventures of poor lil’ panda. If you missed out, you can catch up with parts one and two. That Carcassonne ‘lying down in the field’ joke is about as well worn as wood-for-sheep. We avoided it for years, but honestly, napping just felt like a very ‘panda’ thing to do. Next to eating bamboo, it’s his favourite activity. There are still a couple more weeks left in his adventures, so if you want to see how he takes to life as a farmer, tune in next week. As I write this, I am flicking between tabs (of the several hundred I have open) and working on my first campaign for D&D. I ran a game for friends last night that went reasonably well (no-one fell asleep, the table went unflipped, and people are willing to play again) and so I am now working up something that can run over a few nights. I could, of course, pull from a great number of pre-written adventures, but there is a great appeal for me in world-building, and the construction of a living, breathing, story that can be interacted with. For playing on an ongoing basis, we will need to use roll20.net, which I hear works quite well. If anyone has any experience using the system, I’d love to hear about it. Or any good alternatives for playing D&D online, if such apps exist? 8 Comments on Panda-emic 3! I’ve not used any online RPing systems, my RP group being conveniently local. But I’ve seen videos of Eran & Aviv from U24P using roll20 and it appears to work quite well. Glad your game ran well. Of course sometimes it’s fun when someone gets in a table flipping mood… Well, my friends would find it hilarious anyway. But not everyone is like that I’ve been told. That sounds like an awesome group! Luck you. I wasn’t sure about this format at first but I’m loving it now!